WAIST HIGH: Original MTV VJs Sign Book Deal. Original MTV VJs Sign Book Deal. 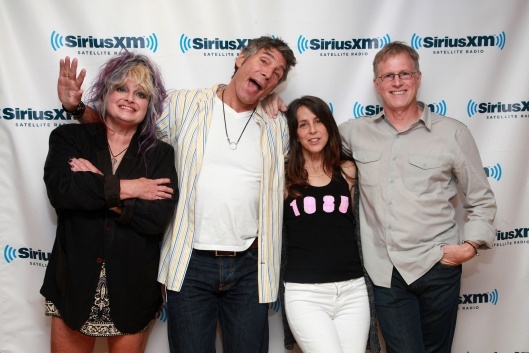 Atria Books, an imprint of Simon & Schuster, announced today that it has signed a deal with the four remaining original MTV VJs Alan Hunter, Martha Quinn, Nina Blackwood, and Mark Goodman for an uncensored oral history of MTV. The book currently has no title and no release date has been set. The fifth original VJ, the great J.J. Jackson, died in 2004. According to Atria, the VJs will, "talk about everything from partying with Van Halen to a disastrous 'Paint the Mutha Pink' contest with 'Pink Houses' singer John Cougar Mellencamp. 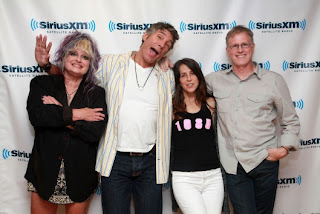 The VJs also participated in an MTV oral history published last fall, but Atria spokesman Paul Olsewski said today that they have saved their 'best stories' for their own book."